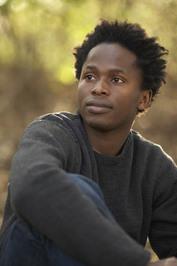 November 23, 1980: Happy 33rd birthday, Ishmael Beah! His memoir, A Long Way Gone, tells of his boyhood as a child soldier in Sierra Leone. He is now at work on a novel, due out next year, that explores the aftermath of civil war. Very talented young man to speak about shooting stars or meteor showers and wishes. Glad he got out of Sierra Leone. Wow, what words! Bless him for helping the children. Such wisdom won from hardship. Beautiful words from his heart… Glad he got education and is taking the big responsibility. His words brought tears to my eyes. Extraordinary young man! Missing you. Wishing you a Merry Christmas, Ela! Perpetua. What’s happening, sis? Something wrong? Tell me, please! Warn your sadness, anything goes wrong, tell me it is not so! Powerful and inspiring! Thank you.